Sell personalised products like flyers and business cards, take payment online and process orders efficiently. From TemplateCloud, the world’s largest collection of templates made by real designers – designs start at just 79p. Your customers can personalise their designs with over 25 million, hi-res royalty-free photos from Fotolia. Customer already has a print-ready file? Allow them to easily upload their graphic file in the shopping basket. Sell printing from your own presses or resell from the extensive Marqetspace range and set your own prices. Choose a theme, customise the colour palette and styles, then add unlimited pages to fill with your own content. Designed to work the way franchise networks need to and perfect for multi-user enterprises. Create branded microsite portals using your client’s brand colours, style and logo in just a few minutes. It takes just 10 minutes to turn a leaflet or brochure into an online editable template using the w3p platform. Create products you sell to all clients, or restrict some deals to selected clients. Easily set rules on who can accept artwork and automatically send notifications to reviewers. 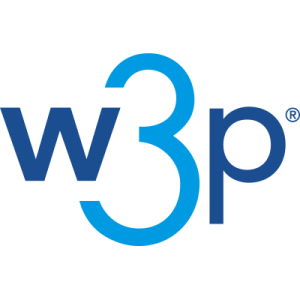 If you subcontract some work, w3p can automatically send purchase orders and graphic files to your suppliers. w3p’s Back Office saves around one hour per job in wasted admin time and is made for busy design studios. Create unlimited users for your team and assign jobs to them, track time and know where every job is up to, all the time. With w3p’s built-in ‘Files & Images’ folder, send big files effortlessly and share documents across multiple users. Use w3p’s production module to process work on your own presses or track progress with your third-party suppliers. Interact the way your clients want to – give them access to invoices, order forms and their order history. Export performance data and client activity with a full suite of reports and analytics built-in.